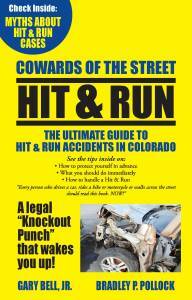 In an instant, the careless actions of someone else can inflict debilitating injuries. Picking up the pieces can take months, years or even a lifetime, especially when serious or permanent injuries have been sustained. While doctors can be pivotal to treating injuries and helping you physically heal, the Arvada personal injury attorneys at Bell & Pollock, P.C. can be essential to fighting for justice and helping you financially recover. Working for optimal outcomes and the maximum compensation. If you or a loved one has been injured call us for a free case evaluation. About 94 percent of auto accidents are caused by preventable human mistakes. Since 2015, deadly accidents on U.S. roads have surged by nearly 6 percent. More than 33 percent of these deaths impact pedestrians and motorcyclists. Fatal injuries due to speeding, failure to wear seatbelts and alcohol impairment have been on the rise in recent years. 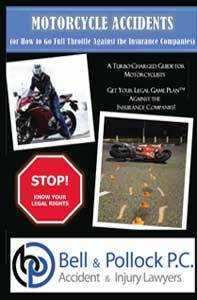 The bottom line is that, when it comes to car crashes, most of them are caused by avoidable negligence. The victims of these accidents can turn to the skilled Arvada car accident lawyers at Bell & Pollock, P.C. for help steering through the rough legal potholes and pursuing the financial recoveries they deserve. Roll-over accident with neck and knee injuries. Injuries caused by drunk driver. Injured by a drunk driver with multiple surgeries. Commercial truck drivers and the motor carriers they work for are legally required to comply with a number of state and federal regulations. These regulations cover everything from trucker training, drug testing and driving time behind the wheel to cargo securement, vehicle maintenance, recordkeeping and much more. The intent is to promote roadway safety and minimize the risk of truck wrecks. In addition to these regulations, truckers – like any other roadway traveler – are required to abide by standard traffic laws, like complying with speed limits, traffic lights and rights-of-way. Whenever failures to follow trucking regulations or traffic laws play a role in causing truck accidents, victims can turn to the lawyers at Bell & Pollock, P.C. for exceptional advocacy and experienced help holding all negligent parties liable. We have a proven record of successfully resolving various types of truck accident cases, from those involving trucker and motor carrier negligence to those caused by other motorists, faulty trucking equipment and more. Failing to take action when an insurer wrongly undercuts or denies a valid claim. 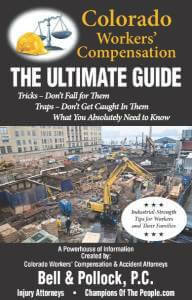 The single best thing you can do to avoid costly mistakes and protect your entitlements to workers’ compensation benefits is to contact the dedicated Arvada attorneys at Bell & Pollock, P.C. We have a long-standing record as effective, relentless champions for the people, and we won’t stop fighting for our clients until they secure the best possible outcomes and the maximum available compensation for their work accident claims. Nursing home abuse is an insidious crisis, victimizing at least 1 in every 10 residents of nursing homes and long-term care facilities. Because many victims may be unable or unwilling to report this abuse, it’s crucial to know the signs so you can take the right steps to protect your loved one if you suspect (s)he has been the target of this abuse. Displays of fear around certain people. At Bell & Pollock, P.C., our Arvada lawyers are devoted to helping nursing home abuse survivors and families hold abusers – and anyone who enables them – accountable for the harm and suffering they have caused. Tireless advocacy in the quest for financial recovery and the best possible resolutions. Of course, compensation will never reverse the permanence of a wrongful death. It can, however, help families by providing essential financial support as they put their loved one to rest, grieve and try to move forward. Defective, dangerous products, including anything from defective automotive equipment and malfunctioning consumer goods to risky drugs and faulty medical devices. 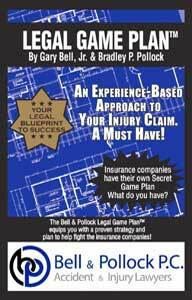 Arvada personal injury attorney at Bell & Pollock, P.C. for extraordinary representation and the best possible outcomes. Empowered by more than three decades of personal injury experience, the lawyers at Bell & Pollock, P.C. are highly effective at protecting clients’ rights, guiding them through the recovery process and maximizing their financial recoveries. Let our attorneys put their skills, insight and resources to work helping you recover. Located 10 miles northwest of Denver, Arvada is home to more than 117,000 people, making it the 7th most populous city in Colorado. Arvada, which spans Jefferson and Adams counties, has a rich history, a robust and diverse economic base and world-class research centers. Among the cities amenities is Historic Olde Town, a historic place offering unique dining and shopping experiences. Here’s more information related to the Jefferson County Court and the Adams County Court. 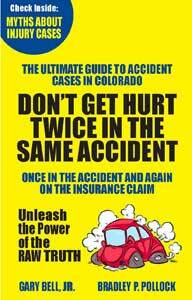 The Arvada personal injury lawyers at Bell & Pollock, P.C. can help the injured successfully navigate the road to recovery in (and outside) of the Jefferson and Adams County courts. We are ready to guide our clients at every step of their case to help them achieve the outcomes and recoveries they deserve.